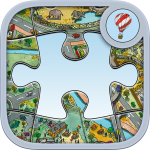 OCG Studios and Roxie Munro proudly present Roxie’s Puzzle Adventure. 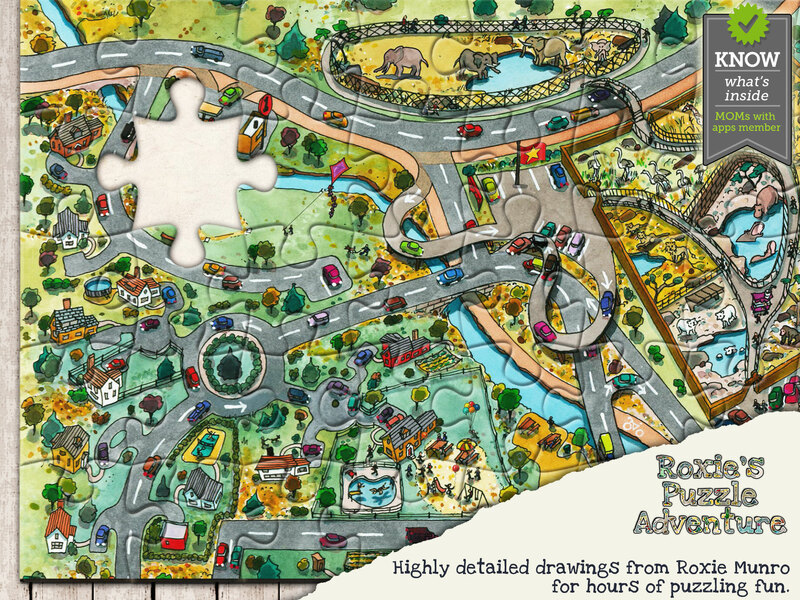 Finally the beautiful illustrations of Roxie Munro, playable as a jigsaw puzzle. The amazing artwork with incredible complexity will keep you busy for hours. This gigantic maze from the “Roxie’s a-MAZE-ing Vacation Adventure” game app is divided into 16 different puzzles. Each puzzle can be played with various difficulty levels. Mazes help children learn decision-making and critical thinking skills. They make them think ahead and plan steps in advance. Mazes teach alternative ways to solve problems and judge spatial relationships. For younger children, mazes help develop fine motor skills; for older children, maneuvering through mazes helps improve handwriting. Researchers have proven that mazes are particularly suited for boys and reluctant readers. And they’re fun!